The stories of Super Typhoon Haiyan (Yolanda) have been told in various media around the planet and have been written in the minds and hearts of Taclobanons, Leyteños, Visayans, Filipinos and all the concerned people in the world. All of us already know or at least have already heard what happened when Haiyan made a landfall in the Philippines on November 8, 2013. 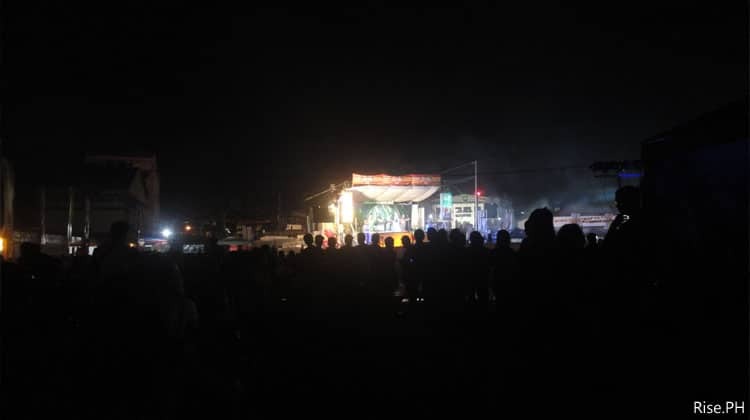 It’s already more than 7 months now since Haiyan caused havoc in Tacloban City, and in June 30, Taclobanons will try to commemorate its annual fiesta and various festivals. Many people from the neighboring towns and provinces might visit the city. And of course many Taclobanons who were dispersed after the storm might come back to their beloved home. To everyone who wants to see what our city looks like today, check out the following photos. I only have an old digital camera with low megapixel, and the weather was not also cooperative. So forgive me for their quality. 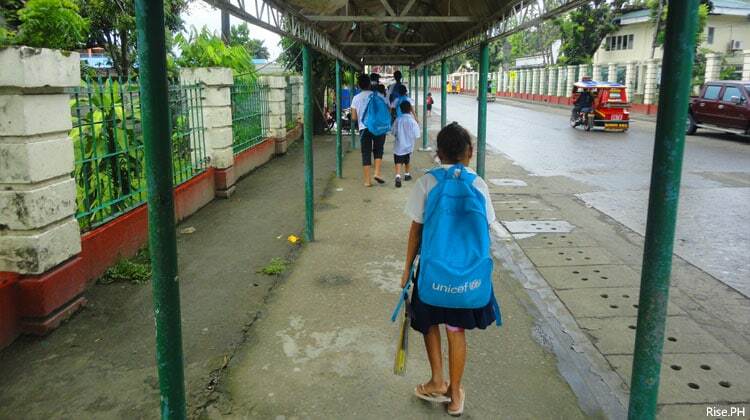 A grade schooler girl walks with her school bag from the Unicef. Most children in public school are using these blue bags donated by the Unicef. You can see these stuff everywhere here in Tacloban. 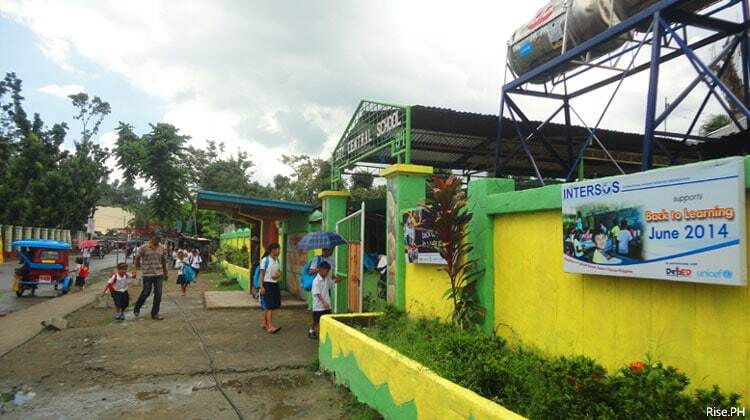 The grade school pupils of City Central School are already getting back to school for learning. 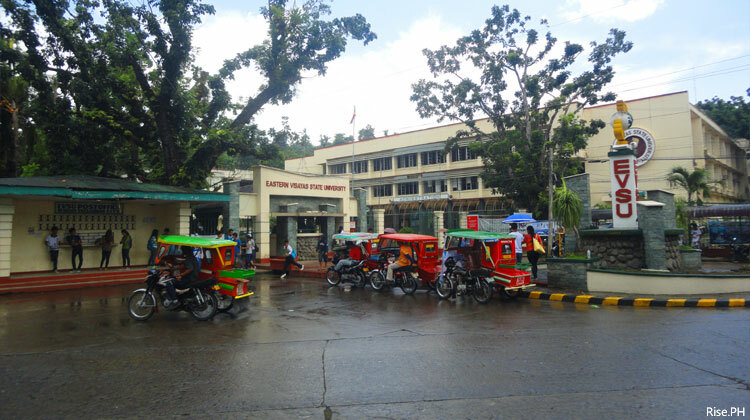 Tricycles are waiting for the students of EVSU (Eastern Visayas State University) outside the Campus. 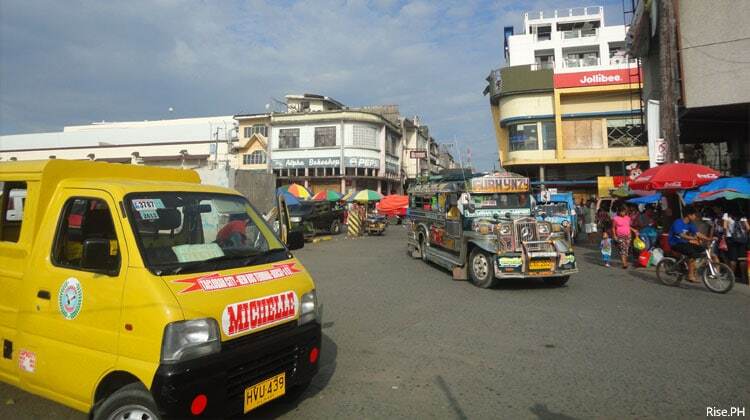 Multicabs wait for passengers in front of Robinsons Place Tacloban. 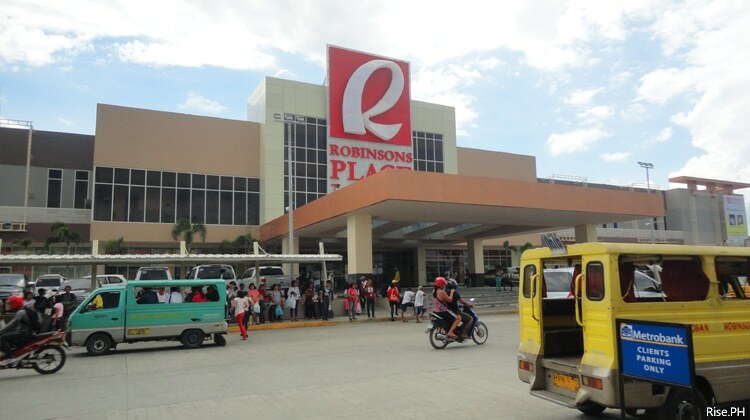 The Robinsons Department Store and Supermarket are already open. People are expecting that the mall will have its grand reopening on June 28, 2014. People at the waiting shed wait for PUJs after shopping at Robinsons Mall. 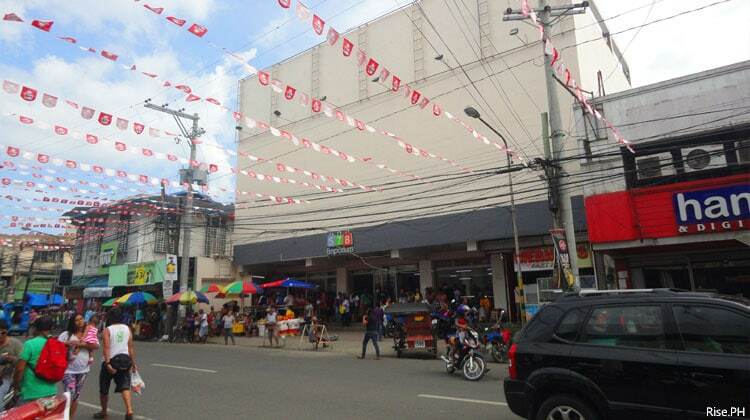 In front of the mall is Metrobank Marasbaras Branch, which is also already open for business to clients. 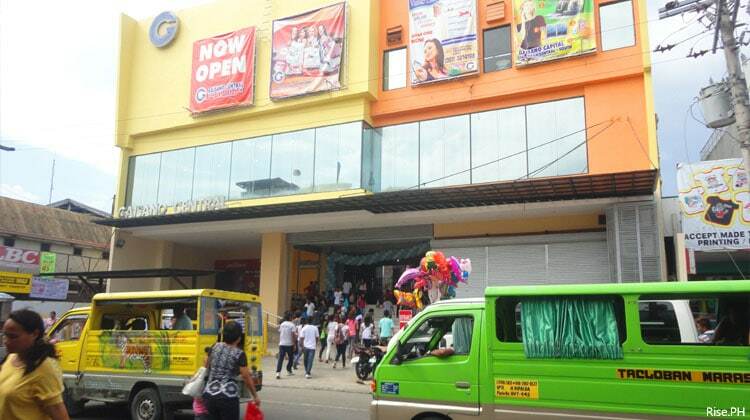 Taclobanons and visitors can also shop at the newly reopened Gaisano Central. At the ground is the supermarket and at the second floor is the department store. 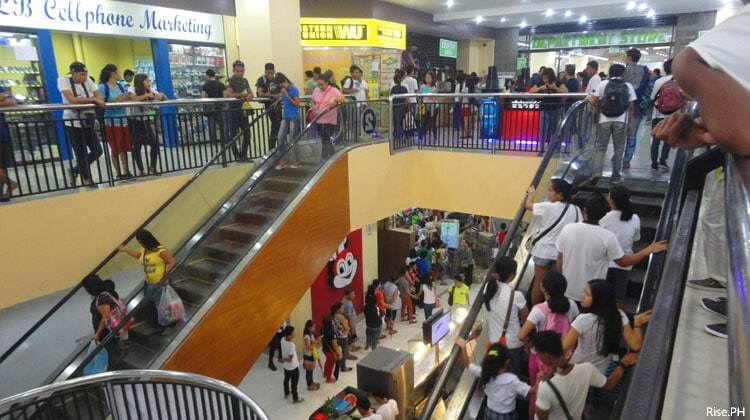 It’s always crowded inside Gaisano Central since its reopening a few days ago. The CD-R King branch inside the mall is already open so you can already buy electronic gadgets and other products at an affordable price. In front of Gaisano Central is 578 Emporium. 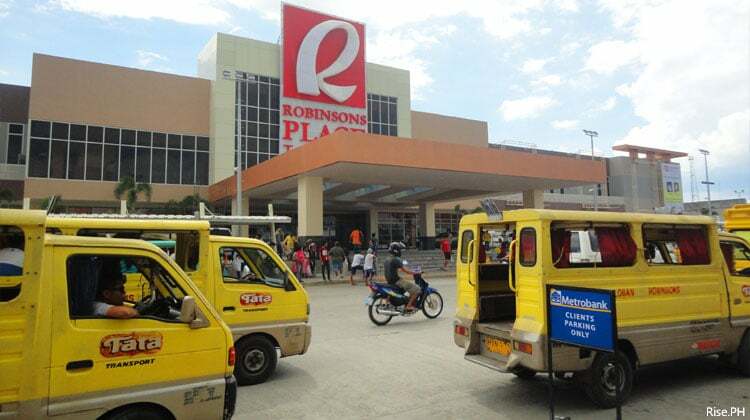 578 is one of the first large stores to reopen since Typhoon Haiyan struck the City. 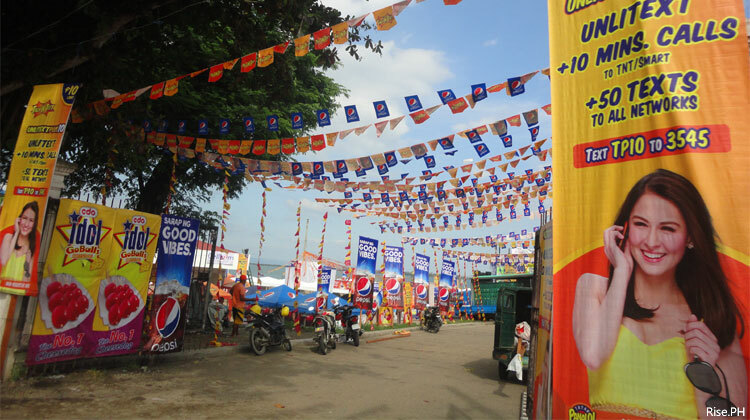 Fiesta banderitas are already making the city colorful. June 30 is the annual celebration of the Fiesta in Tacloban City and the Sangyaw Pasasalamat Festival. The entrance to Balyuan bay, where the Parayawan Festival is held every night. Taclobanons and visitors come here at night to enjoy barbecue, beer (please drink moderately) and music from different rock bands, both local and famous bands from Manila. This is Magsaysay Boulevard. 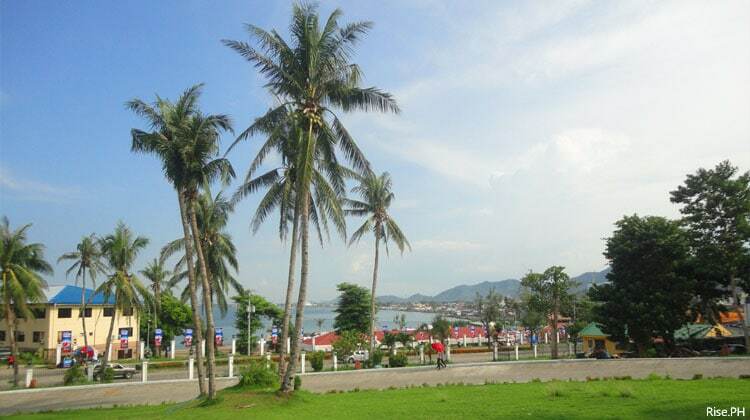 It’s nice to see the green color of grasses and trees which survived the wrath of Haiyan. 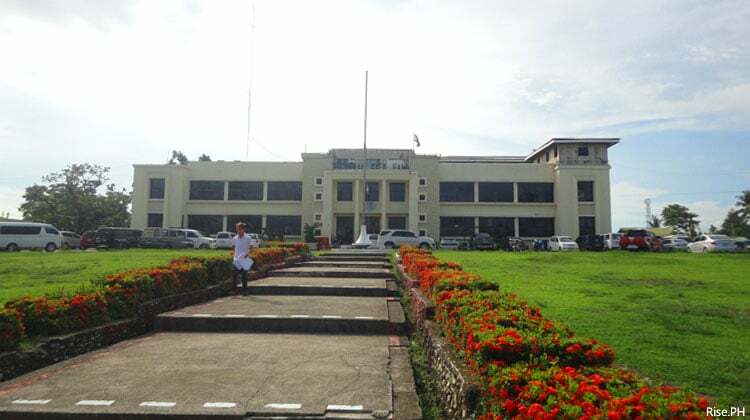 This is Tacloban City Hall. It’s Monday and its business as usual. The City Hall is just beside Magsaysay Boulevard, the other side of Balyuan Park where Parayawan Festival is held every night. Parayawan Festival held every night at Balyuan, beside Magsaysay boulevard. If you love to eat barbecue with your friends, smell the breeze of Cancabato Bay and listen to different rock bands performing live on stage, then this place is for you. This is Avenida Veteranos Street at night. Here you will find Chowking, Giuseppe’s Restaurant, Stephanie Smoke Haus, Bo’s Coffee and other places to dine. The Famous Santo Niño Church in Tacloban City. 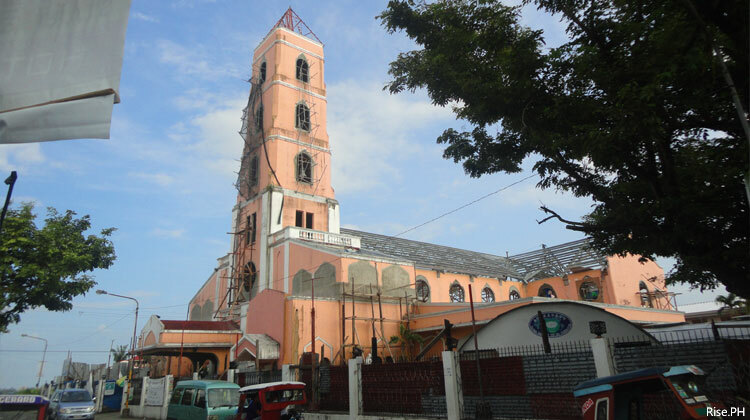 It’s still undergoing repair and renovation due to the damages the structure suffered from Typhoon Yolanda. 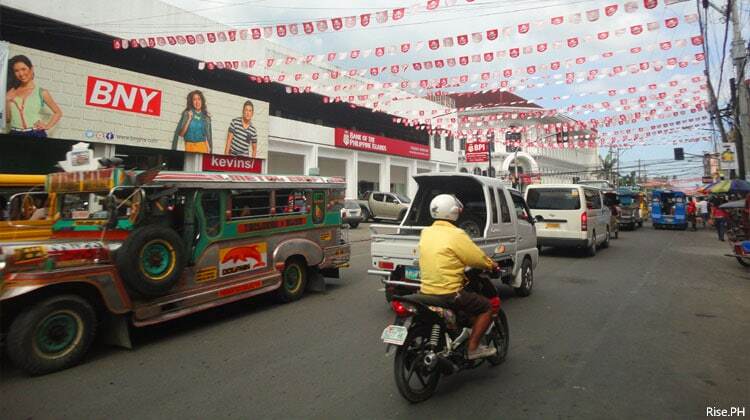 If you’re from Tacloban, you will know where this area is. Yes, this is going to the Public Market. That yellow multicab is waiting in line to get and bring passengers to the New Bus Terminal. Tacloban Public Market. The mangoes there got my attention, and you know what happened next? I bought some and they’re sweet. Tacloban Astrodome after more than 7 months since Haiyan. 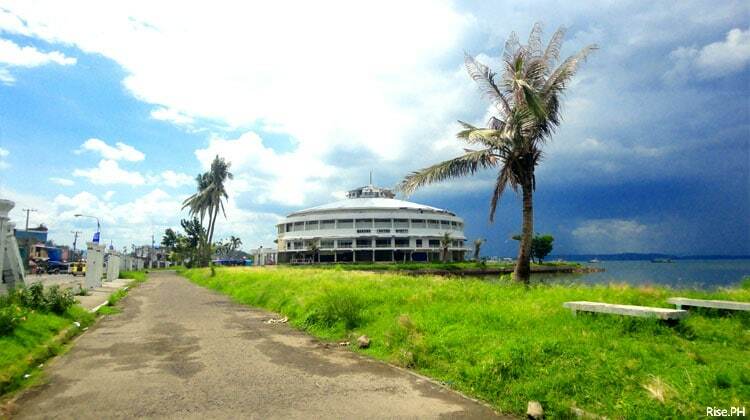 The dome served as evacuation and relief center during and after Yolanda. Now it’s already empty. The evacuees are not already there. But the establishments (ie., restaurants, gym and offices) that were originally there have not yet reopened. People in Tacloban love running, jogging, and getting fit. 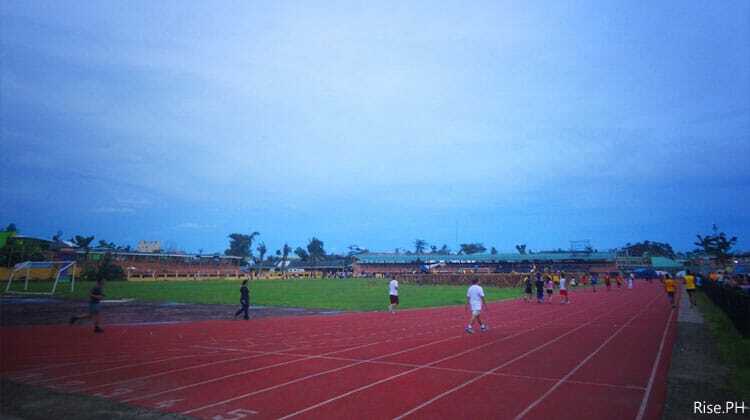 You can do your jogging and other fitness routine here at Leyte Sports Development Complex or commonly known as Grandstand. 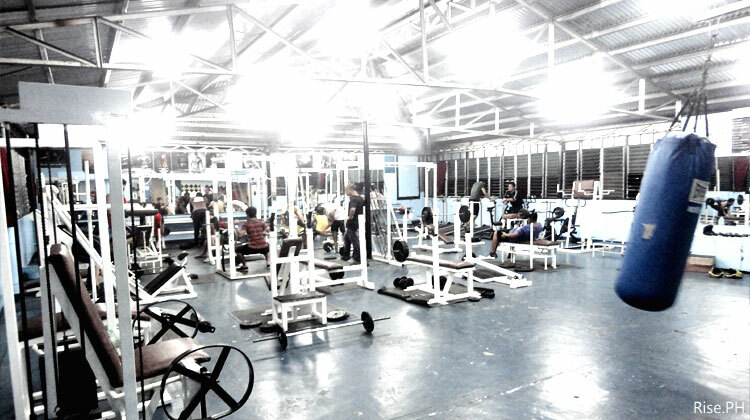 Taclobanons continue bodybuilding and muscle pumping at Olympic Gym in Avenida Veteranos, Tacloban. Will it stay there forever? People are already making this ship a home, a landmark, a place for taking souvenir pictures, and more. Note: Those are only few pictures, and they may not represent the true state and condition of our City. But at least we can already see some improvements in our place and in the people. However, I hope that we don’t stop rising so that we will not only have what is at least, but what is the best! 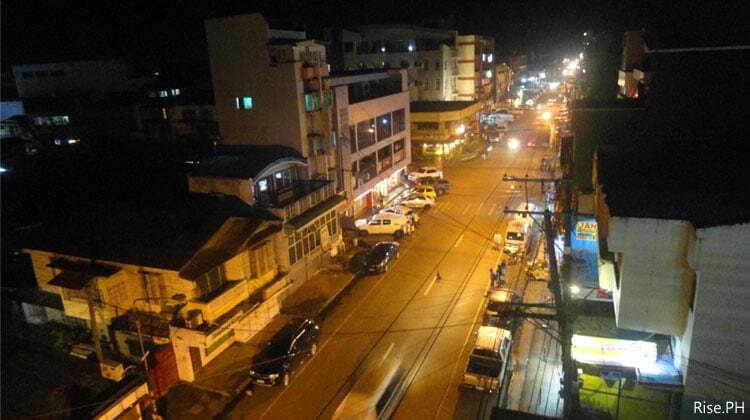 To see more images of Tacloban City, please check our Facebook Page Album. This is nice! You have done a good job. I was there last April and May and saw myself that Tacloban City and its people are improving a lot because of the help from international community. If it’s the government only doing the rehabilitation works, i don’t it will be as fast as what is happening now. dba dapat November 8, 2013 ? Hindi 2014 ?? Hello. Thanks for the heads up. We have already corrected the error. i miss Tacloban…after surviving the calamity, it rises progressively…soon full restoration will be felt by everyone…proud to be Taclobanon at heart! kababalik lang namin ng tacloban at nagulat kami dahil ang MAMAHAL ng pagkain dito…biruin mo P300 ang kilo ng luya dito, kasing mahal na ng kilo ng lechon…ang isda dito pinakamura ang P200 ang kilo…nasaan na ang DTI? Hi. You can buy ginger at P230/kg at the public market. 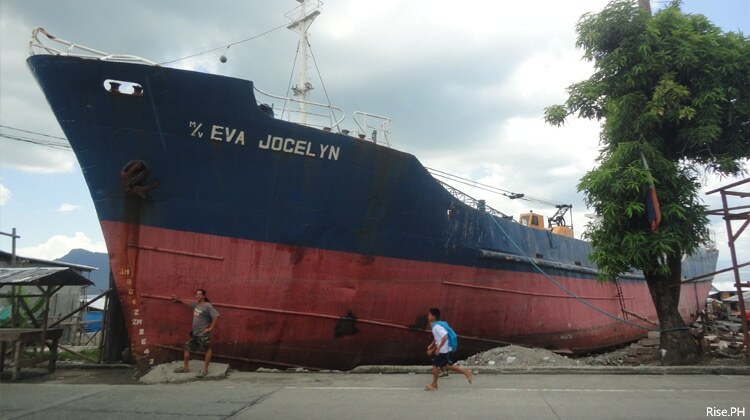 DTI-Leyte Provincial Office is also located at R & L Fernandez Building , 785 Seaside. Fatima Village, Tacloban City. You are right. 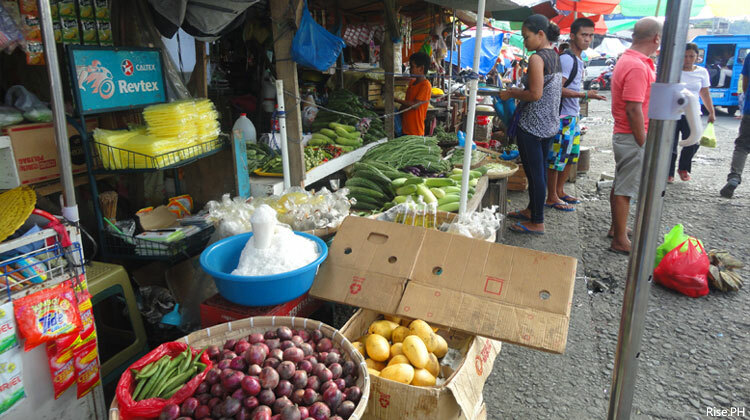 The prices of commodities here in Tacloban is higher compare to other places not affected by Haiyan. This is the Tacloban i know and love. This is the Tacloban i will always love. Thank you so much for your update! 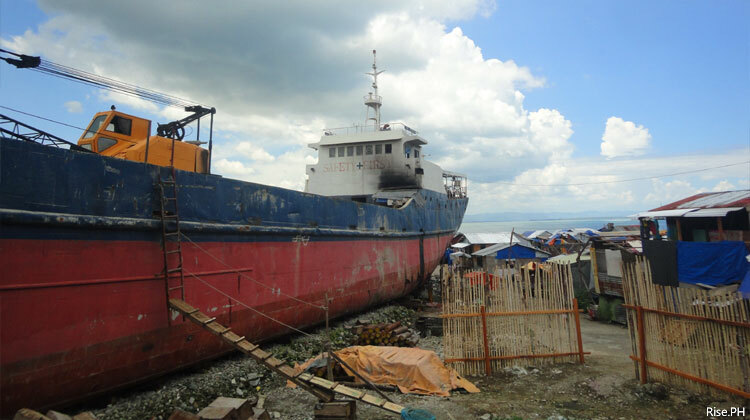 I left Tacloban on Nov. 19,2013 with the USA rescue plane with my heart bursting of pain and sorrow for all I saw and experienced. I’ve never prayed to GOD so intensely in my life at that very moment Haiyan was castagating the place, asking for help for the safety of everyone. And now it seems you all have recovered visually. LONG LIVE TACLOBANONS!!! kylan b makukuha ang malking ship n yn s lugar, hadlng kc s mga dinadaanan lalo n s mga bata. Pakita niyo naman ang mga dapat ipakita.. ok na yan eh alam naman nating kayang kaya ng pinoy na umahon agad.. pero sana ang blinog niyo ay mga bahay na pinagtagpi tagpi ang mga bunkhouses ng mga kababayan natin na hanggang ngayon umaasang masasaayos ang buhay nila sa tulong ng mga kababayan. Hi. Don’t worry. We will also cover the bunk houses and tents in the coming publications. 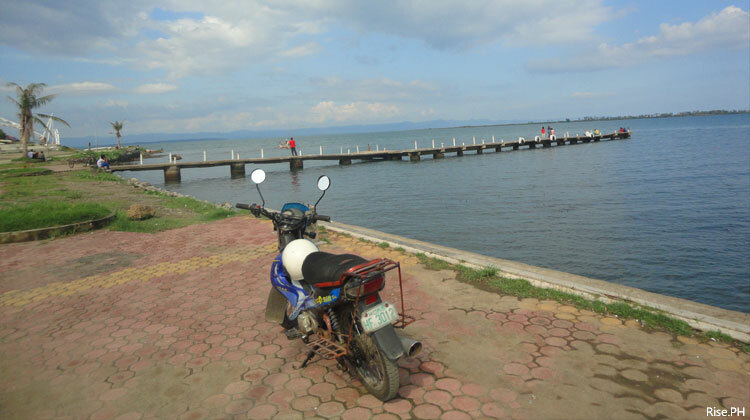 The aim of this post is to give Taclobanons and visitors what they can expect when they visit Tacloban area, and to show progress and improvements around the city. To answer questions, like open na ba ang mga malls, schools, et cetera? A little appreciation would be good. Hindi naman pwedeng hindi natin ipakita ang improvement ng Tacloban, right? The Filipino people are just amazing. If this happened in America, and it did, Hurricane Katrina, the lazy people in America would just be sitting around waiting for the government to rebuild their lives. Dapat pinakita rin sana ang pabahay ng INC. Non member or member…..
Bukas na ba mga gimikan? Inuman? My mga security pulis na ba na napapatrol? Ok na ba mga ilaw? 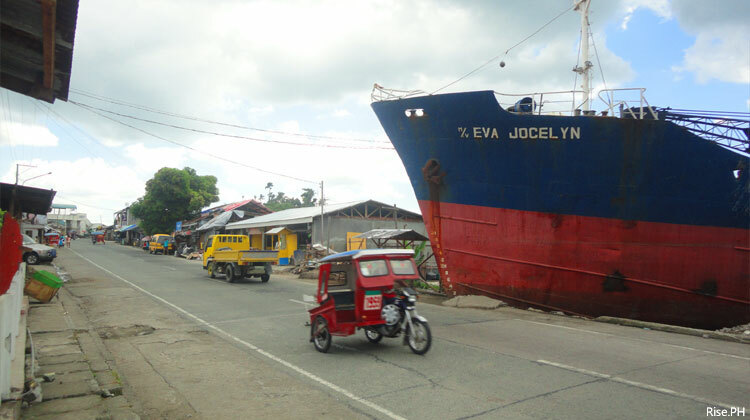 Hndi lng sa main highway ha, i mean all the electricty supply in Tacloban… Sorry to ask ha, i have missing brother, and my dad died on may 16 dahil sa kakahanap nya sa kuya ko na trgger yung cancer sa body nya.. So umuwi ako nong May 19-20 for the last moment.. Nakita ko, not all my ilaw pa din, nakita ko nman my nghuhukay ng basura sa st peter para mghanap ng pagkain, which is hndi ko to nakikita before sa tacloban only in manila, my 2 na gimikan ako nakita katabi ng gv hotel ba yun pero wala maxado ng papatrol pa..
Soo ano na ang ngyari sa mga missing.. My tulong ba tlga nbbgy sa local yung national government or just pasikat lng tlga ako national..
Sa totoo lng ha before i went back to manila, ng yosiyosi muna ako sa labas ng airport and infairness ang ganda na din, it happen while im smoking my mga routers club ngsasabi na mali lagi inilalabas ng media.. Nbgy na daw tulong pero wala naman, totoo ba yun?